Chrysyn Harp is an international chamber and orchestral violist performing in Switzerland, Germany, France, Norway, Finland, Denmark and Sweden. After studying with Charles Forbes at Settlement Music School, she received her Bachelor’s Degree from the Mannes College of Music, where she studied with Lillian Fuchs and Karen Ritscher, and her Master’s of Fine Arts Degree from the State University of New York at Purchase, where she was a graduate fellow and student of Ira Weller. While studying at Yale University, Ms. Harp received her Master’s of Music Degree where she was the teaching and faculty assistant to Jesse Levine. Ms. Harp began her teaching career under the tutelage of Roberta Gaspari of the East Harlem Violin Program, and later taught in the School District of Philadelphia and founded the music department for the Academy at Palumbo High School where she was the choir, orchestra conductor and head of the music department. 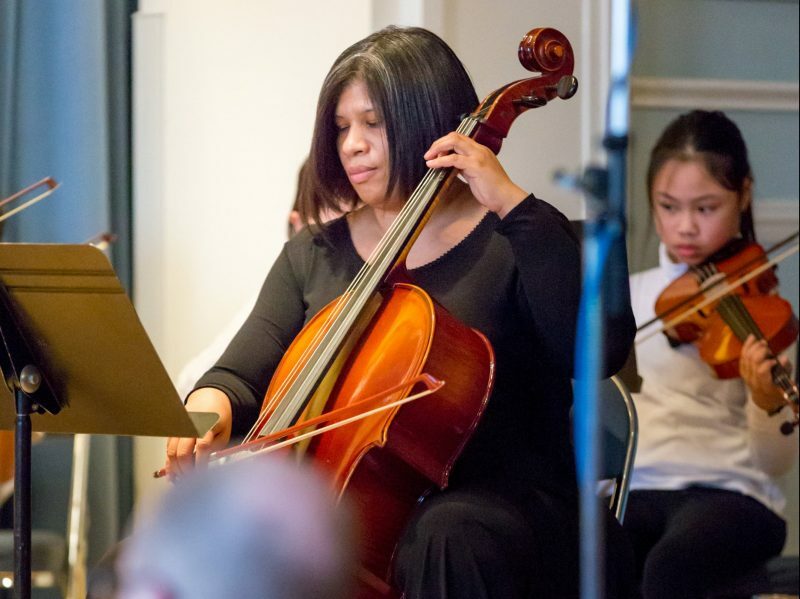 As an avid orchestral player, she has performed with any orchestras including the Norwalk Symphony, New Haven Symphony, Waterbury Symphony, Erie Philharmonic, the Philadelphia Classical Symphony and the Chautauqua Symphony Orchestra.